Droptek has been a Monstercat staple since the label’s beginning. Hailing from the UK, his contributions to the esteemed brand’s catalogue have been hugely successful, often leaning towards the darker, heavier side of bass music. 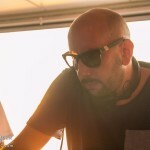 His releases have been bold and distinctive, and include remixes for Pegboard Nerds and Krewella. ‘Fragments’, his most recent solo body of work, earned him features on stations such as Noisia Radio and BBC Radio 1. Droptek’s music can be heard in video games such as Ubisoft’s ‘Track Mania’ and VR remix game ‘Electronauts’, which features the recent collaborative effort with newcomer Vorso, ‘Smog’. The talented producer also has experience with a film trailer production company and this really shines through in his productions. Cinematic soundscapes and technical sound design are interlaced amongst heavy basses and roaring synths, all of which sets Droptek apart from the rest. 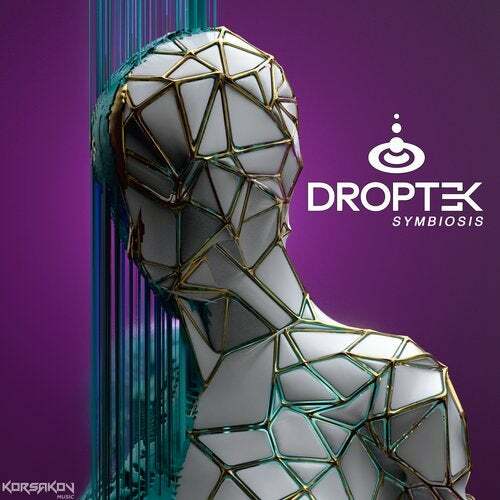 Recently, Droptek signed with the newly formidable Dutch label Korsakov Music to release his debut album ‘Symbiosis’ –this masterful body of work serves as the ultimate definition of what Droptek is about. Coming in at a massive 18 tracks with over an hour total run time, it’s sure to solidify this already established producer as one of bass music’s finest. Stunningly crafted from beginning to end, ‘Symbiosis’ truly is a journey that will entice fans both old and new with its warped, mesmerizing sound design, out-of-the-box arrangements, and incredibly intelligent production. Tracks like ‘Science’ highlight his unique story-telling ability with a dramatic journey of highs and lows, while ‘Illusions’ featuring the luxurious vocals of Holly Drummond show his much more elegant side. Title track ‘Symbiosis’ delivers gritty roller vibes that will decimate any dancefloor, while ‘Wormholes’ explores the wonkiest edges of bass music with a whole lot of attitude. ‘Cyclic’ offers crisp, clean, flawlessly executed neurofunk with an inspired twist, while ‘Flow’ shows us more of Droptek’s funky side.